This upcoming title by the award- winning author tracks the life of Marley Sandelski — 7th grader, Star Trek geek, and the target of the most vicious bullies at Rancho Rosetta Middle School. 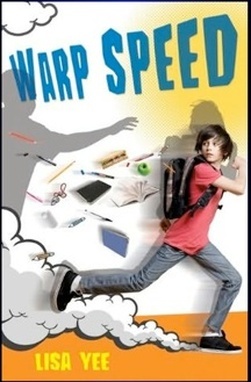 Warp Speed has been named to the following “Best” lists . . . 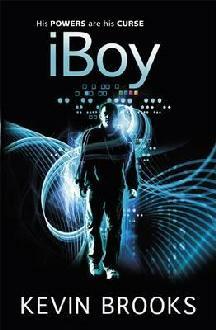 According to Brennan (2010), “iBoy” is a tale of teenage boy who gained special powers when he was hit by a falling iPhone. Discover what this teenage boy can do with his special powers in this gripping, streetwise and profound new science-fiction crime thriller for readers of 13 and above. Geek, techy or otherwise, these new titles will surely get you into reading. Get a good grip of these books soon @ the LRC! 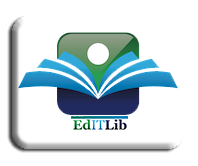 Tags: coming soon books, coming soon titles, iBoy, Kevin Brooks, Lisa Yee, Warp Speed, Xavier School HS LRC. Bookmark the permalink.